← Introducing, ‘No Room For Ravers’ Socks that Rock, quietly.. When Jen said she would like to review my book, I had a total ‘pinch me’ moment. 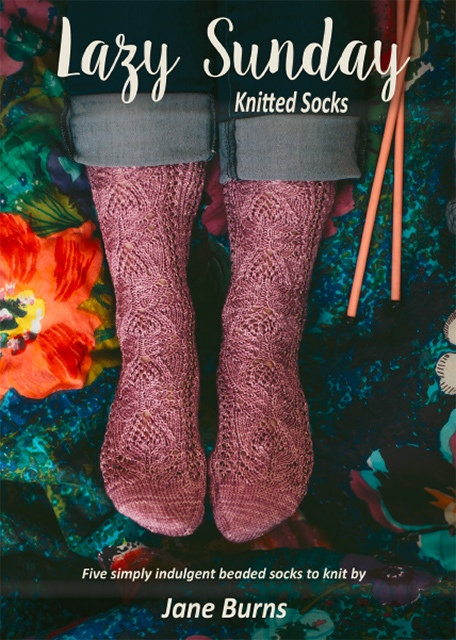 I have long been a fan of Jen’s work, particularly her sock yarn shawl series. Us sock knitting addicts occasionally look at that ever-growing stash of sock yarn and ask ourselves, what else can I knit with this? The answer, just in case you are yet to come across Jen’s sock yarn shawls is just that. You can check them out here on Jen’s website. I have currently a ‘Garter Love’ shawl on the needles, worked in the a sparkly Dream In Colour sock yarn which has long been living in my stash. Jen wrote a lovely review which you can read in full over on her blog here…. 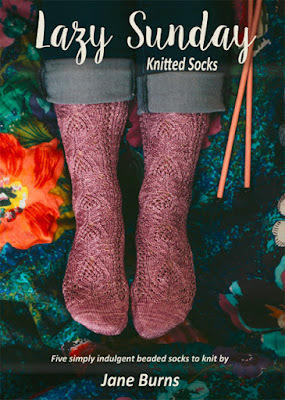 “Recently I was chatting with fellow designer, Jane Burns, about her new self-published book, Lazy Sunday Knitted Socks. I took one look at the photos of Ravelry and knew I had to share it with you. You’re going to love it!